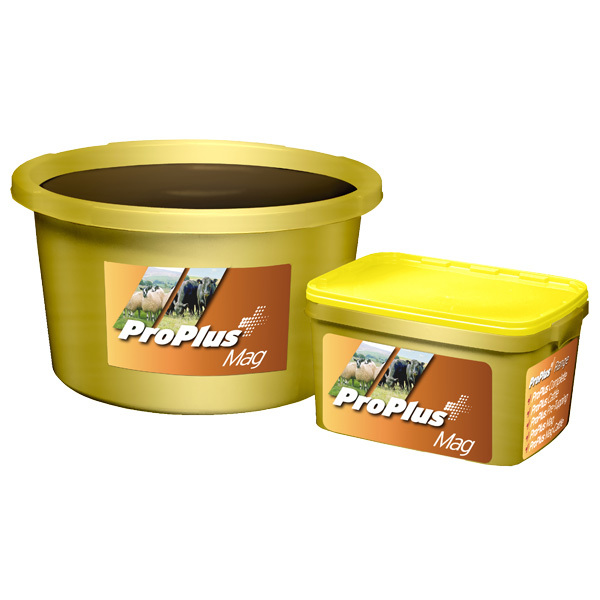 ProPlus is a leading range of molasses feed tubs that supply livestock with high energy from sugars and protected fat, whilst providing protein from high quality hypro soya (Digestible undegradable protein). Designed to help balance low protein diets and highly fermentable grass based diets, the ProPlus range is carefully balanced with vitamins, minerals and trace elements allowing livestock to achieve optimum performance. The ProPlus range can be incorporated into a number of on farm feeding systems, and is a convenient way to supplement livestock 24 hours a day.